CASPAR (Cambridge And Somerville Programs for Addiction Recovery) is a community-based non-profit organization founded in 1970 in response to growing community need for substance abuse treatment. At that time, no treatment options existed other than local hospital emergency rooms for the 10% of the population affected by substance use disorders. The decriminalization of alcoholism in Massachusetts in the early 1970s—a legislative initiative spearheaded by CASPAR’s founders— reinforced CASPAR’s recognition that people with substance use disorders require treatment, not incarceration. Since 1970, CASPAR has grown from a single halfway house for men and a shelter for homeless men and women, to a comprehensive array of services that provide access to people wherever they are on the substance use/abuse/recovery continuum. From street outreach to aftercare housing, CASPAR’s programs all reflect a shared commitment to non-judgmental, client-centered care for men and women who struggle with sobriety. In July 2014, CASPAR became part of Boston-based Bay Cove Human Services, joining forces with another agency with more than 40 years’ experience in the field of addiction services, and a shared philosophy and approach to caring for men and women with substance use disorder. Today, CASPAR is widely recognized for its proactive programmatic response to emerging populations, trends in substance use, and evidence-based research. Its reputation as the leading provider of substance abuse services in the area, and a pioneer in cutting-edge service delivery, shapes CASPAR’s vision for the future of client-centered treatment for high-risk populations. 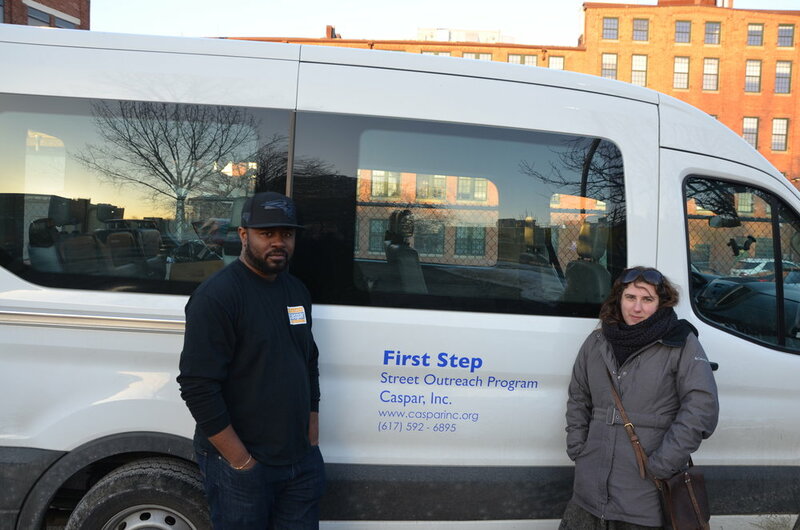 Our FirstStep Street Outreach program offers life-saving alternatives to unsheltered homeless men and women who are affected by substance abuse, mental illness and medical complications associated with life on the streets. The CASPAR Emergency Services Center (ESC) is a shelter that accepts people who are using drugs and alcohol and are homeless. Our residential programs are designed to help individuals maintain sobriety, while developing skills they'll need when they transition to the "real world." We offer continued support to participants who have "graduated" out of our residential programs. GROW House provides an opportunity for women to strengthen their recovery programs and gain the skills they need to live on their own. Andrea came from a family with a history of addiction, and had been in and out of detox several times due to struggles with heroin. 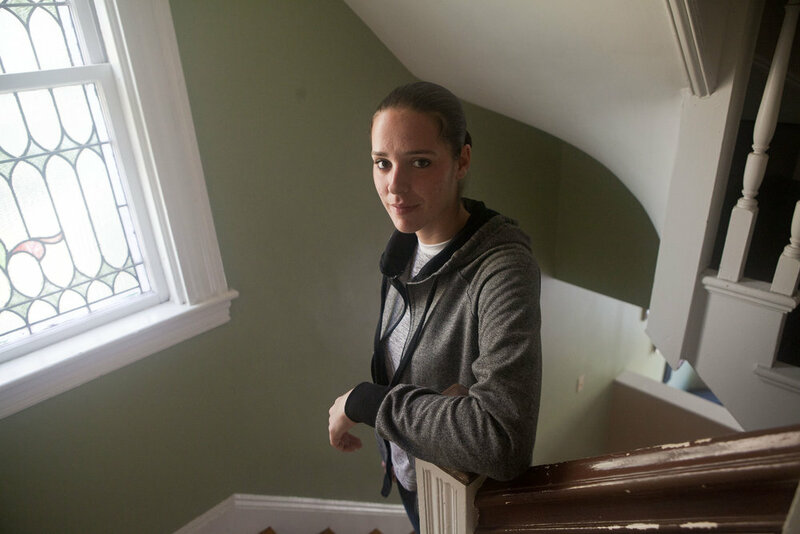 She suffered through a series of precarious living situations, including periods of homelessness. It was during one of these periods that she found out about CASPAR’s Womanplace program, and she caught a break when a bed opened up sooner than expected. Counseling and group sessions helped her to look honestly at her behaviors, and awakened a strong desire to get and stay clean. Andrea recently celebrated two years of sobriety, and is currently pursuing a career in the field of addiction counseling. CASPAR, Inc is part of Bay Cove Human Services, Inc. Both are 501(c)3, non profit human services organizations.